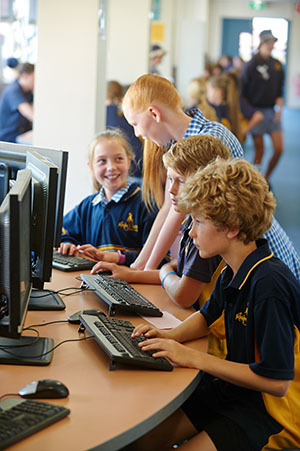 These programs are provided by the Australian Curriculum. Music, Drama, Physical Education and Japasese (from 2018) are taught by school-based specialist teachers. Students receive a written report on their progress and achievement against the Australian Curriculum Achievement standards twice a year (end of Term 2 and end of Term 4). Families have the opportunity to access parent-teacher interviews in Term 1 and 3 (or when requested by families). Reidy Park Primary School intervention programs focus on Literacy, Numeracy and Social & Emotional Learning. Programs include Rocket Reading, Jolly Phonics, Phonological Awareness, Concepts of Print and Language/Speech support. Regular testing and assessment completed by teachers assists in identifying students who are in need of support. Reidy Park Primary School has a focus on the Performing Arts and students are given the opportunity to be involved in a range of performances and ensembles. Specialist music tuition is offered in strings, woodwind, percussion and brass instruments and many students receive private music tuition outside of the school program. The school’s choir students (Upper Primary) perform in Adelaide and Lower South East Music Festivals, while musical performances are staged by classes for the school community every 2 years. Students have the opportunity to be a part of school-based sports teams, which are managed by parents, with teacher support. Throughout the year students are able to join netball, soccer, football and basketball teams and compete against other schools in our area. Reidy Park Primary School offers an excellent Auskick Programm for our Reception to Year 2 students. This programme is greatly supported by parents and the community and is generally held in Term 2 each year. Reidy Park Primary School works collaboratively with the local kindergartens and high schools in offering a transition program for children commencing school and moving to high school.